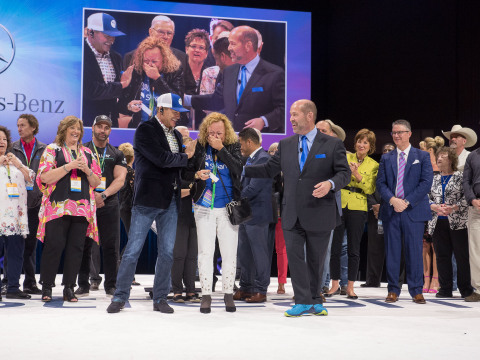 DALLAS--(BUSINESS WIRE)--Stream (Stream Energy), a leading direct selling company and provider of energy and connected life services, held its annual national conference, Stream Ignition, in Fort Worth from April 5-7. More than 4,000 Independent Associates and their guests attended for a weekend of training, new company updates, guest speakers and recognition. Several corporate sponsors supported the event, with Mercedes-Benz Corporate Sales serving as the title sponsor. Mercedes displayed five cars for the event, which Associates were invited to test drive throughout the weekend. 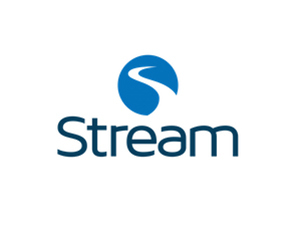 “Associates can qualify to earn a Mercedes as part of Stream’s incentive program, so this was a wonderful opportunity for them to get hands-on with a major reward that’s within reach if they set their minds to it,” explained Chief Sales Officer Steve Fisher. In keeping with the event theme of “Believe in your dreams,” one lucky Associate was presented with a Mercedes-Benz as part of promotional sweepstakes. And in several emotional segments, Stream gave away gifts to Associates who had previously shared their biggest dreams. Giveaways ranged from laptops to luxury cruises and private business training sessions, as well as donations to the recipients’ charity of choice. From stage, major announcements further paved the way for Associates to reach their goals, including the launch of two new energy plans: Stream Free Nights or Free Weekends. Customers in Texas now have the option to get free electricity every night or every weekend through Stream, along with a $200 Visa gift card at the end of their contract term. Stream also announced Budget Power Plan. Customers enrolled in the Budget Power Plan pay the same amount for their energy bill every month, as long as their monthly usage stays within their pre-chosen usage block. Three highly impactful and motivational guest speakers brought their talents and insight to Stream Ignition 2018. During Thursday’s Leadership Meeting, success strategist and sales trainer Dr. Gloria Mayfield Banks treated Stream’s top Associates to an exclusive training seminar. On Friday, network marketing guru Eric Worre delivered a five-hour training in the Fort Worth Convention Center arena. Keynote speaker Inky Johnson shared his own inspirational story of hope, determination and gratitude. On the final day of the event, Stream Chief Executive Officer Larry Mondry delivered the weekend’s biggest surprise: a new energy state. On April 24, Stream Energy Services will expand to six territories in Ohio, which contain 4.2 million energy meters. Mondry was later joined on stage by Stream founders Rob Snyder and Pierre Koshakji, board chairman Mark “Bouncer” Schiro and members of the corporate team for an insightful panel discussion focused on the company’s future. Plans for Stream Ignition 2019 are already well under way. Next year’s event will take place April 11-13, 2019, with early registration officially open this past weekend in Fort Worth. 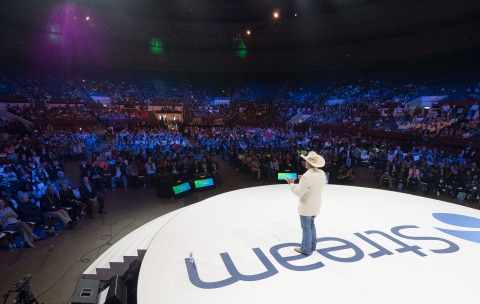 Stream held its annual national conference, Stream Ignition, in Fort Worth from April 5-7.